Prime Air is a supplier of quality aircraft parts to the worldwide commercial, regional and corporate aircraft aftermarket. Building Center No.3 was chosen to design the company’s headquarters located in Miami-FL. The scope of work included redesigning the interior floor plan, some exterior alterations and the addition of a landscape component (not included in this phase). 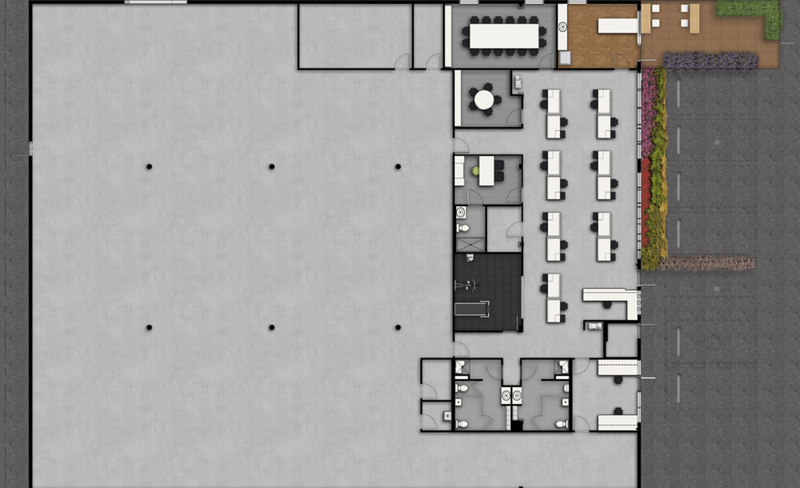 The program includes office spaces, conference rooms, a fitness room, an outdoor patio (phase 2), and a warehouse storage area. The team became familiar with the client’s perception of value and after preliminary studies BC3 concluded on a few main design strategies for Prime Air Headquarters. One strategy was to provide smaller “neighborhoods” of working desks to assist the company in the transition of employees having private offices to an open work-space environment. BC3 also maximized the staff’s access to natural light by creating an open floor plan in the front north-facing façade, while the offices and conference rooms on the interior. A third strategy was to maintain the existing industrial aesthetics in the interiors while strengthening the original Art-Deco cues on the existing facade.